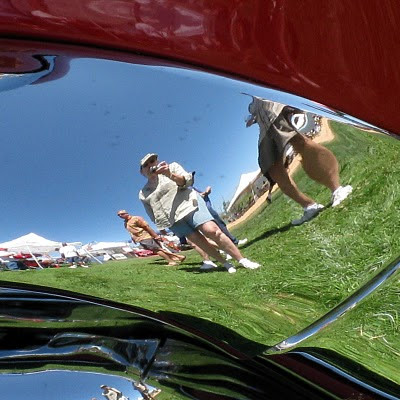 Here I am, knobby knees and all, reflected in the bumper of a '57 Chevy Nomad, at the Car Show, this weekend. What a good time! I goofed and made a comment in the post below. Love your reflection shot! Creatively done! Hope you had fun at the car show. So cool and "reflective"! I love it!! I got some accidental shots of me in the rear view while on this two week trip. "rear-view" sounds kinda ominous, doesn't it. heh heh.